Water contamination by heavy metals has become a serious environmental issue due to its serious threat to human health. 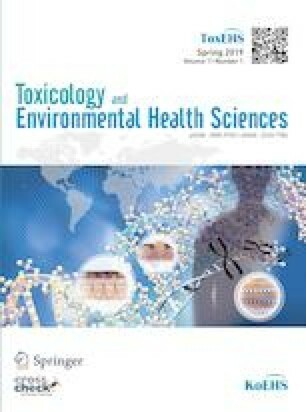 The current research was conducted to determine heavy metal concentrations in drinking groundwater samples in villages of Dehgolan, western Iran and to ascertain the potential health risk in terms of estimated non-carcinogenic risks by hazard quotient and hazard index and carcinogenic risk to the residents living in these areas from exposure to the metals via drinking water ingestion and skin contact routes. Health risks were conducted for resident adults based on the USEPA health risk assessment guidelines. The mean values of Pb, Cd, and As in the groundwater samples were 0.0026 mg/L (ranging from 0.0020–0.0030 mg/L), 0.0009 mg/L (ranging from 0.0007–0.0010 mg/L), and 0.0068 mg/L (ranging from 0.0011–0.0360 mg/L), respectively. Compared to the WHO drinking water guidelines for Pb, Cd and As, virtually all the trace elements in the drinking water of villages in the present study could meet the requirements of the regulation except As in some villages. The results of the study obtained in all cases demonstrated that the non-carcinogenic risk was below the safe limit. The calculated carcinogenic risk for adults obtained was all lower than USEPA’s acceptable cancer risk range of 1 × 10−4 to 1 × 10−6, suggesting no potential carcinogenic risk from drinking water consumption. The authors would like to thank Professor Mehdi Zarrei in Hospital for Sick Children in Toronto, Canada for valuable comments and suggestions, allowing us to improve this paper.